Hello everyone! Are you feeling the summer vibes already? Over here in Finland the summer is felt only in my colorful cat sweaters as it’s snowing behind my window as I am writing this blog post right now… Let’s just say summer definitely isn’t in a rush to visit Finland this year! 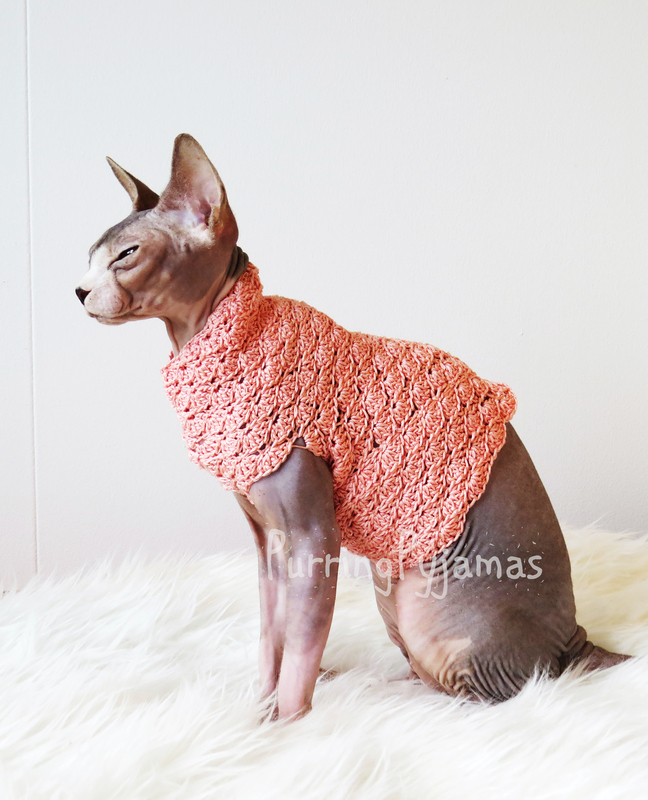 And talking about cat sweaters, you’re probably wondering: hey, Asta, we understand it’s snowing in Finland in the mid May, but come on – other countries have normal climates and are baking in the sun already, so… where are all the summer goodies, huh? Well, they just arrived! The new collection was released last week in my PurringPyjamas shop on Etsy, and now I finally found a few free minutes to quickly introduce it. Are you ready? The first 3 sweaters are super cute, super colorful and super soft. They’re also very light, stretchy and give that oh so needed protection from the sun for your hairless family member. 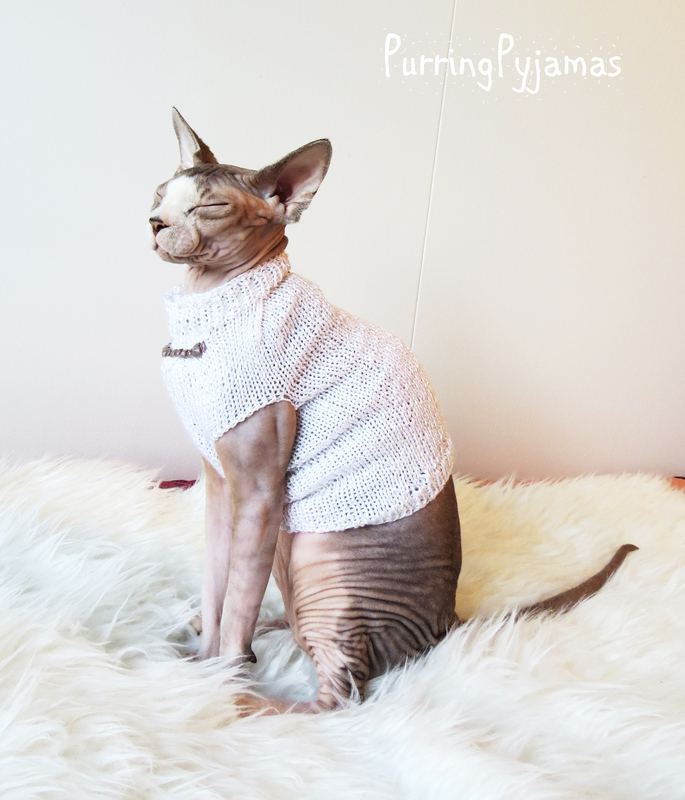 These sweaters let the skin breathe very well, so your kitty will feel comfy while wearing them. 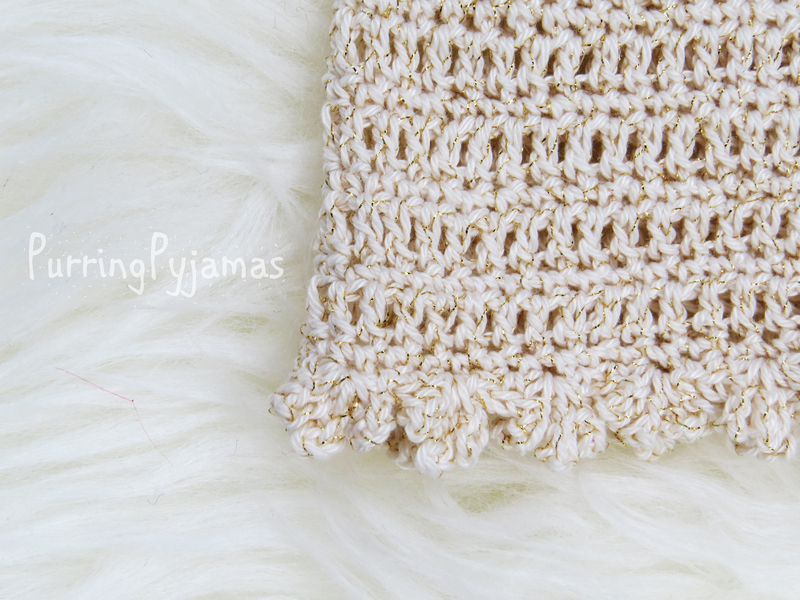 The yarn is 70% cotton & 30 acrylic, which means that the sweaters won’t irritate even the most sensitive skin. Because they’re so light and stretchy, they’re also good for the first time wearers and cats who don’t like thicker sweaters! I also decided to decorate these cute stripey sweaters with some beads I bought last year. I really like the little spicy vibe that they give to each sweater – from very sunny and bright yellows to more subtle brown hues. If you want to get any of these sweaters, you can find them here: Yellows & Blues, Blues & Reds, Blue Hues. Now this sweater doesn’t really belong to any collection, but I loved the yarn, so I thought to myself – “Why not to make something cute with it?”. So I did! I hand crocheted this cutie from cotton yarn and added a few white rose beads. 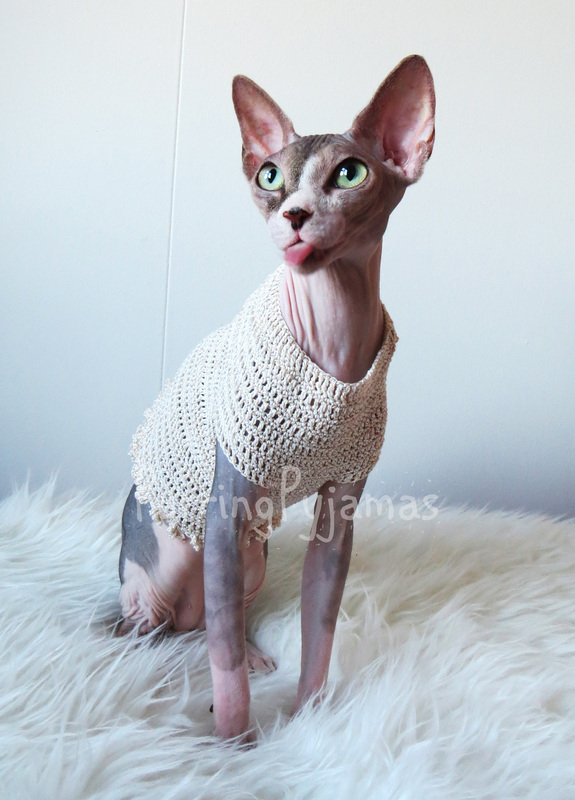 There are only two sweaters available in sizes XXXS & XXS, so if your kitty is on the smaller side or you happen to have a kitten, grab it! 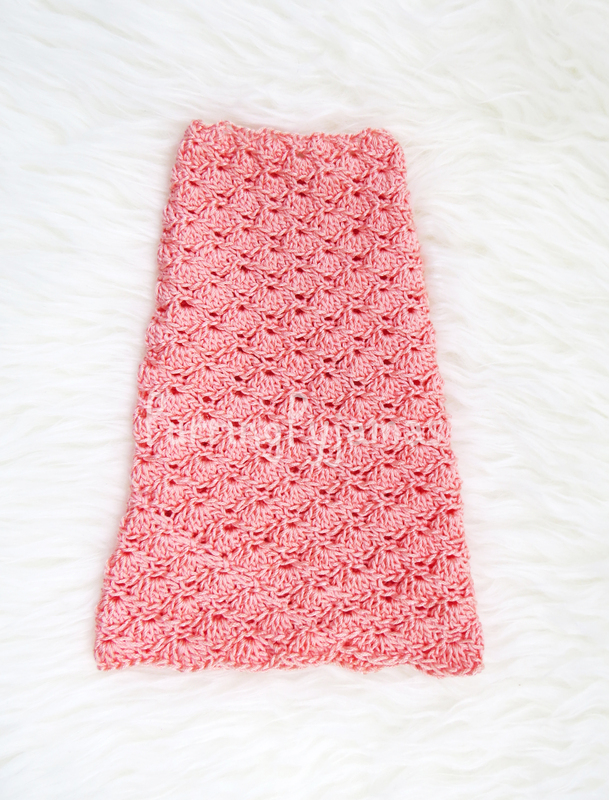 You can find it here: Pink Rose. If you’re interested to take a look at all of the summer sweaters available in my Etsy shop, you can find them here: Summer Clothes. Even though this past week was nothing like summer (except for the green trees, little sunshine and nicely smelling grass after the rain), in our home we live with very summery moods. And the little summer sweaters that I made definitely add freshness and remind every single day: it’s still summer. The first sweater is this off white (or light beige – whatever you want to call it) shirt with beautiful golden bling. It is also decorated with tiny little flowers at the bottom. Every single detail in the sweater is crocheted. 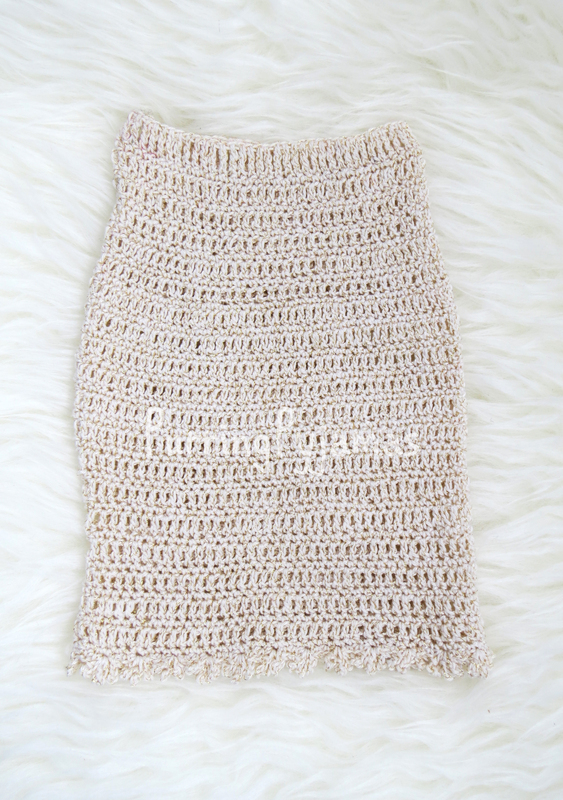 It’s super light, lets the skin breath and is made out of 100% cotton yarn. You can find the sweater over here: The Bling Bling Sweater. The second one is all about the sea. It’s related to the sea not only because of it’s beautiful coral color, but also because of the shell pattern. I’ve had this yarn for a while and tried quite a few patterns until I decided that this is it. And I think the pattern suits this yarn perfectly. The yarn is 85% cotton and 15% viscose, so the sweater is very light and comfortable. It is available in coral and lime colors. 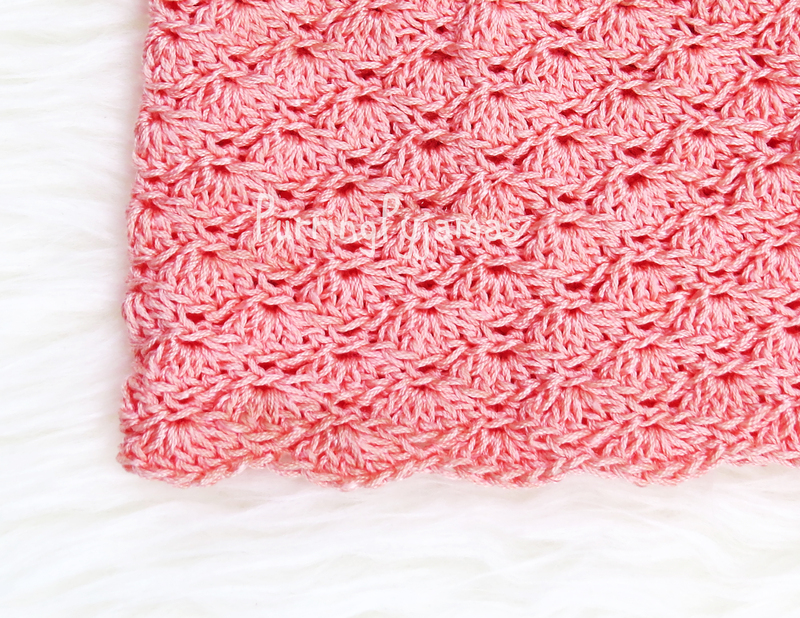 You can buy the sweater over here: Coral Shells. The last one is simple yet it has a twist. It is made of a light, but very stretchy and nice extremely white yarn, which consists of 62% viscose and 38% acrylic. While the previous two sweaters are both crocheted, this one is knitted. 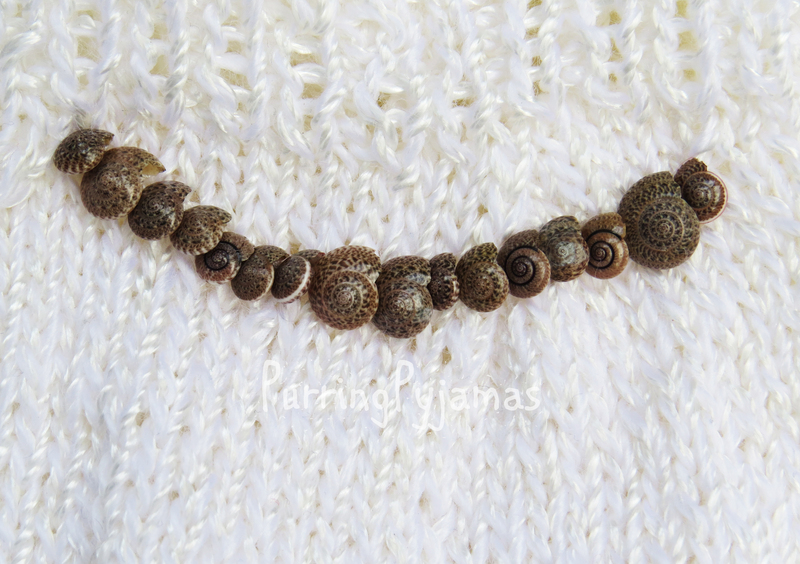 It is also decorated with real shells, which give nice and subtle look to the sweater. Get the sweater here: Shell sweater. When I was taking the pictures, the light was simply awful. It’d been raining for days already, and I didn’t know, when it would stop and if it would stop, so I made a decision to start a photoshoot. I am not very happy with the end result, but, well, thinking about the conditions I had, I am glad the pictures are THAT good! Oh, I can’t wait to have a new camera, which probably will be at my home this autumn. Fingers crossed! And here are couple more pictures from behind the scenes. Why? Because cats are simply adorable. At all times. Always wash yourself before the shoot to make sure you’re squeaky clean! Enjoy yourself. And sleep whenever you can!